I am a late 30-something wife, Architectural Project Manager and most importantly, mom to a beautiful yet hormonal almost 12 year old girl. 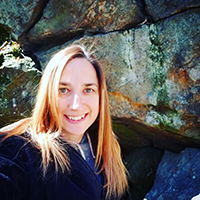 My passion is the outdoors (whether hiking, snowshoeing or gardening), reading, writing, and advocating for Mental Illness & Maternal Mental Health. My history starts at the tender age of 14 and over the last 20+ years, I have been through 6 episodes of Major Depressive Disorder, 2 episodes of Extreme Generalized Anxiety Disorder, 2 hospitalizations, mild PTSD, Postpartum Depression, Postpartum Anxiety and a multitude of medications and therapies. Currently, I live with Persistent Depressive Disorder and Generalized Anxiety Disorder. I am a repeat contributor to both Stigma Fighters and The Mighty. I have also been a guest blogger on Postpartumprogress.com, DepressedForALiving.com & Stigmama.org. In 2016 I was published in Stigma Fighter’s Anthology II, interviewed for an article in Esperanza Spring 2016 magazine and a contributing author for a book about Perinatal Mood Disorders, A Dark Secret. In November 2018, I was published in Stigma Fighters Anthology IV. I published my first book Rising From The Ashes in October 2018 with Eliezer Tristan Publishing. Starting my first fiction book about a woman’s struggle with Mental Illness and her inner battle to decide whether to live or die.